Clients often ask me about Sequim foreclosures and whether they should be looking for a good deal among the Sequim foreclosures or the Port Angeles foreclosures. I looked up all the foreclosures this calendar year (from Jan 1 to Oct 22, 2010). We’ve had a total of 404 foreclosures as evidenced by the “Notice of Trustee’s Sale” documents that have been recorded. This includes foreclosures in all of Clallam County. 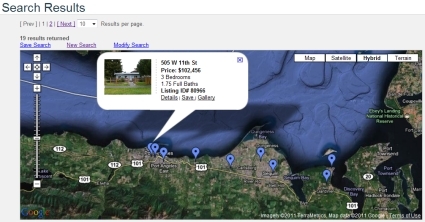 The number of Sequim foreclosures is a much small number. A Notice of Trustee’s Sale must be recorded part way through the foreclosure process. The beginning of the foreclosure process is the issuance of a Notice of Default, but in Washington that document isn’t recorded, so there will be more foreclosures than represented by the number Notice of Trustee’s Sales recorded. But that is offset by the fact that some Notice of Trustee’s Sales are recorded more than once, and there are also Discontinuances (termination of the foreclosure). 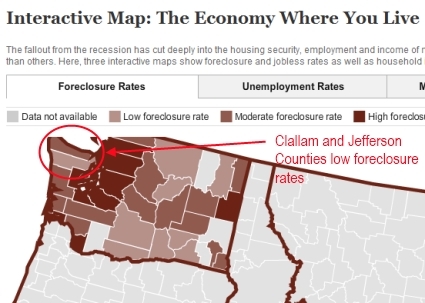 This means that the actual number of Sequim foreclosures is a small number, perhaps 50 homes. Can retirees find great deals in this inventory of foreclosures? Not really. The many clients I have been working with over the past several years have not found a nice home in a good area at a great price among the Sequim foreclosures. Trying to find a foreclosure you would want to live in and trying to negotiate with a bank REO on the east coast is a bit like entering a Twilight Zone movie. There are also many problems looming in buying a foreclosure because of the legal problems with the bank foreclosure process. 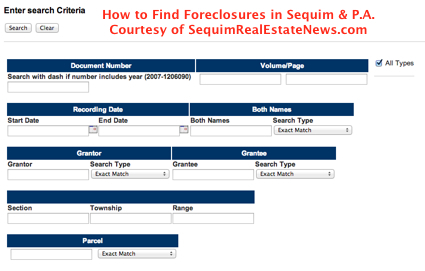 See my earlier article at Sequim Foreclosures and Problems. I don’t list foreclosures, but I do represent clients as a Sequim Buyer’s Agent or a Foreclosure Buyer’s Agent. If you do find a foreclosure you want to buy, why not use a retired real estate attorney who understands foreclosures intimately and who is a Sequim real estate broker? Email me or call me on my cell phone. Sequim foreclosures are not necessarily the best buy for retirees but if you find one I would love to represent you. Sequim foreclosure home for sale – One acre country home just outside of Sequim, Washington now in default and foreclosure and must be sold fast. This is a fine two-story Colonial custom home with over 3,400 square feet, a 3-car attached garage with a very high ceiling, a glass sun room, a large kitchen with lots of custom built cabinets, and an unusually large laundry room just off the kitchen, which doubles as a mud room from the garage. This home has 3 bedrooms, one den, and one extra room. As the photos show here, this really is a beautiful home. The yard and the house are looking a bit run down right now precisely because the mortgage is in default and will be sold at a foreclosure sale unless someone snatches it up at cost. The sellers will net zero on this sale at $510,000. Update: Price just reduced by seller to $460,000. Must be sold fast. This house was originally listed for sale at $699,000, but this real estate market has taken a toll on many sellers, and buyers now have the opportunity to walk in and pick this stunning property and home up for bargain price. The location is great if you’re looking for a country home. There’s something majestic about the look of this home when you first see it and every single time you drive by it. I’ve been driving past this home since I first moved to Sequim in 1994. I lived just down the hill on Ward Road adjacent to the Olympic Game Farm. I believe every time I ever passed this home on Lotzgezell, whether I was jogging, bicycling, or driving my car, I always had to look at this home, which sits down Three Firs Lane and off Lotzgezell several hundred yards. It has a majestic appearance that makes it stunning. Maybe I just love a traditional colonial, or maybe this home is beautiful to everyone. What do you think? This home needs some tender loving care, but remember it is a foreclosure. Now I’ve seen a lot of foreclosures for sale, and I can tell you this one is head and shoulders above the rest. Most foreclosures are terribly run down and many in this market have been looted of fixtures and appliances by the prior owners. 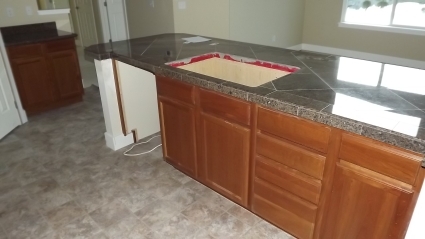 To see more photographs and details on this home, go to Sequim Foreclosure Home for Sale. If you have an interest in looking at this home, call me right away at 360-775-5424. 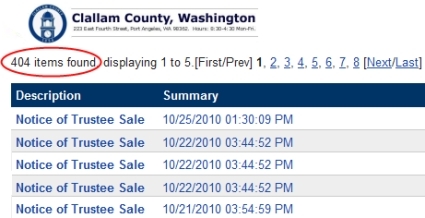 This is a list of houses in Sequim that are in various stages of foreclosure, according to Foreclosure.com. I pay for a monthly subscription fee to be able to access specific information on these sites. I wish their system would simply allow me to include a link you could use for more detailed information, but Foreclosure.com’s system will not allow that. But if you see one you have driven past and you like what you see, you can email me, and I’ll get you the information in the database and email it to you. Courtesy of Chuck Marunde. Recently, Inman News published an article on the misleading prices that are often attached to Trulia.com and Yahoo! Real Estate pre-foreclosure listings. It’s a good read, which features commentary and possible solutions from Foreclosure.com Founder, President and CEO, Brad Geisen, about how to correct the problem. Unfortunately (and unsurprisingly), RealtyTrac.com Vice President of Marketing, Rick Sharga, took exception to Brad’s input. That’s because the company that he represents supplies Trulia.com and Yahoo! Real Estate with their foreclosure data. Neither Yahoo Real Estate or Trulia or RealtyTrac is setting out to mislead anybody. Anybody looking to purchase a foreclosure property is going to have to educate themselves a little on the process. It‘s not as straightforward as just buying a resale property from an agent. Whether it is done intentionally or not, RealtyTrac and by association Trulia.com and Yahoo! Real Estate doesn’t appear to have either the desire or the ability to make it clear that the prices associated with some distressed listings are often not sale prices. Therefore, while Mr. Sharga claims, in theory, that he and his partners are not setting out to mislead anybody the reality is that they are.